Resident Foodies say: Any dish served with a femur bone, including marrow inside, deserves to be seen and eaten. 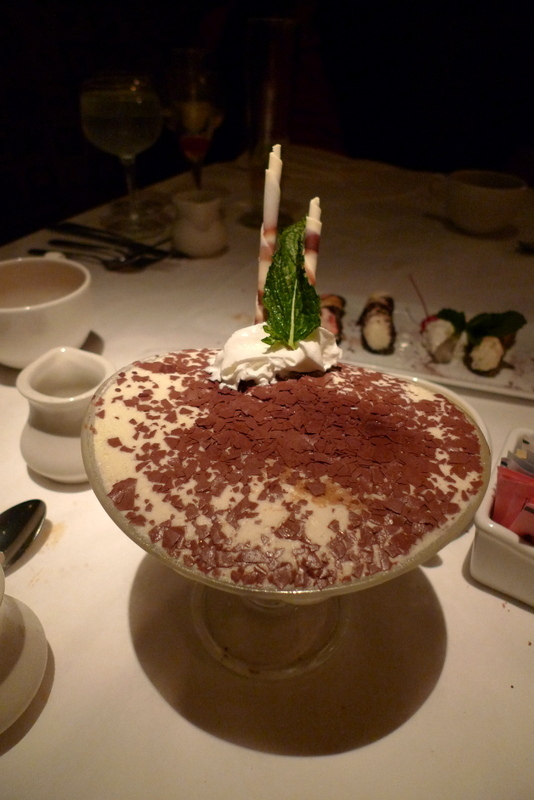 We partook of this unusual dish at Gilt Bar in Chicago, a warm, rustic restaurant near Merchandise Mart. Bone marrow is all the rage in the restaurant world in Chicago. The dish at Gilt Bar is roasted bone marrow with red onion jam & coarse salt. 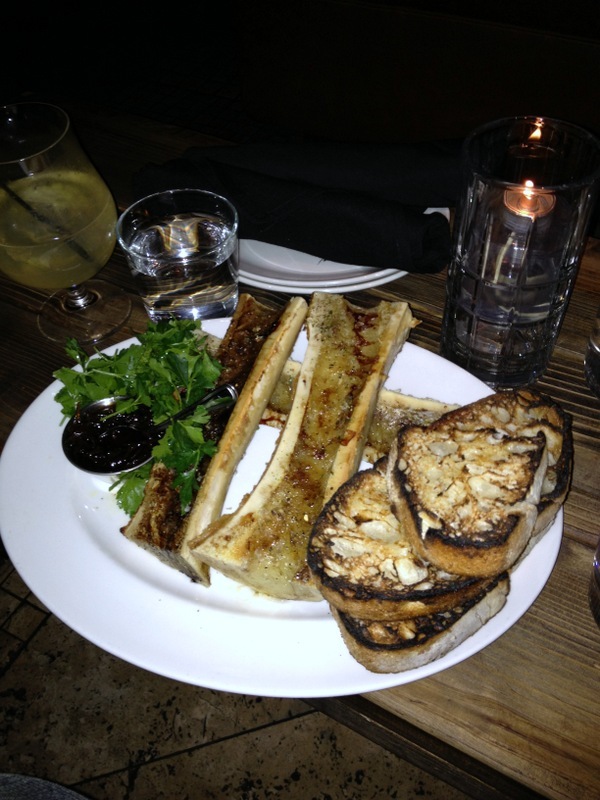 The femur bones are served right on the plate–a la Fred Flintsone–with the bone marrow still inside. The texture of the bone marrow resembles butter, melted cheese–or something else really gooey. The marrow didn’t have as much taste itself, but the salt added is noticeable. Add the red onion jam and cilantro on top of the toast, and you get a very distinctive combination of savory and sweet. Some of you may be wondering if bone marrow is bad for you. We were. Surprisingly, some evidence suggests that it’s good for you–high in monounsaturated fat (the good kind that can help reduce LDL cholesterol) and protein, though also high in calories. Video: Ruxbin review on Check, Please! Watch Ruxbin | WTTW Season 11 on PBS. See more from Check Please!. Resident Foodies say: Ruxbin, rated one of the best new restaurants last year by Food & Wine Magazine, was just reviewed by Check, Please! Chicago.